I have been in student ministry for 14+ years. In 2015, our church’s lead pastor resigned and moved on. I knew this move was coming for him, and I also had a feeling that I should consider moving into the lead pastor position. Just thinking about the position change broke me out into a cold sweat. 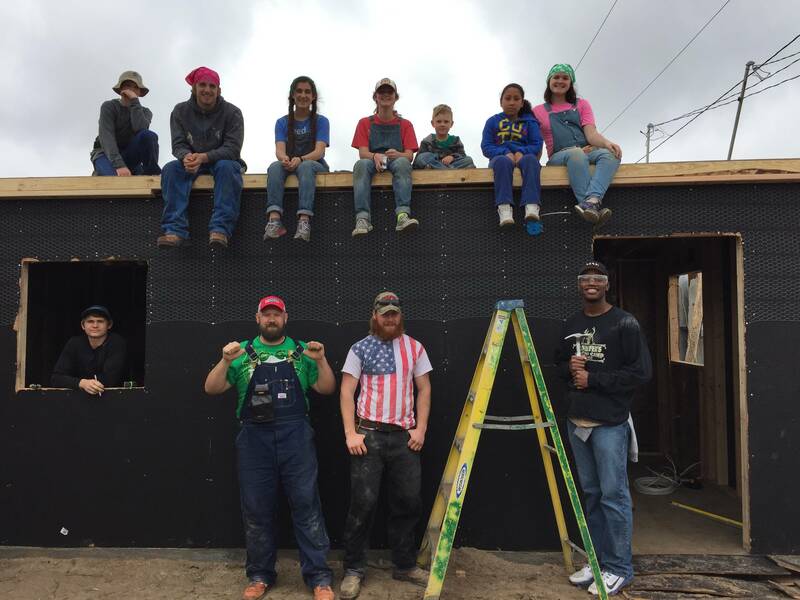 In the meantime, spring break was quickly approaching which is when we take our annual trip to México to build houses with Casas por Cristo. At this point, our pastor had been gone for two months and I had talked to a few guys I trust about jumping into the lead position. From these conversations, I received positive confirmation. So, we are in Mexico, and I’m building a house with some of my favorite people in the world- my students. While building the house, I’m going over the change in my mind. Actually, I’m freaking out knowing that I am supposed to follow God and do what I know is right. But, I am a slow learner. 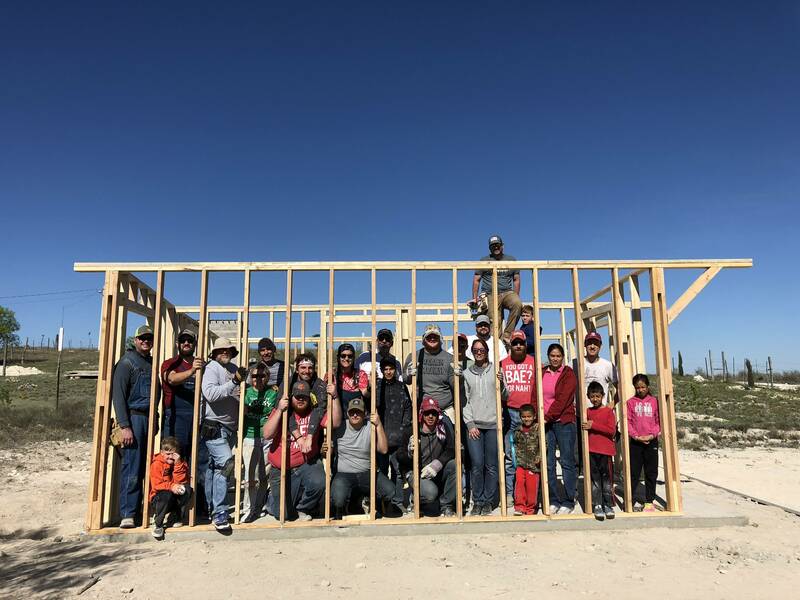 On our 3rd day of building in Mexico, I decide that I know better than God (not smart) and tell two of my youth leaders who are on the trip that I am definitely not going to pursue this new position. I feel great. I feel relieved. That afternoon, one of our students asks me if they can invite Fidel to our church that evening for dinner and worship. Fidel is a local pastor in Acuña, México, and our group had built a home for his family the year before. That evening, Fidel shows up and we enjoy dinner together, followed by worship and devotions. During devotions, our students ask Fidel to say a few words. He does and asks if we have any prayer requests. Chris, one of the leaders that I had told I would not be pursuing the lead position, asks Fidel to pray for our church because we were looking for a new lead pastor. Our two Spanish speakers listen intently to Fidel as he speaks about this prayer request. While Fidel is speaking, I am in the back of the room with my son, who is 5 at the time, trying to keep him behaved as he is extremely tired from the work week. One of my students, Ezequiel, starts translating for Fidel. He quickly tells us that Fidel believes the next pastor is already a part of the church. He said that this person would take the church in a new direction and that God would do big things with this new pastor. I am at the back of the room, and to be 100% honest, I am mad. I am mad at myself, I am mad at God, and I am mad that I said yes to inviting Fidel. I am mad because I had made up my mind and said NO to God about taking the lead pastor position. I knew it was what God was telling me to do, but I had chosen not do it out of fear. Then, God shows up and uses Fidel to tell me once again that this is His plan. I was not totally sure about the dreams/visions being from God, but when Fidel spoke these words, something was happening in me. It was a God moment. I knew 110% that Fidel was talking about me, Ezequiel knew it, and Chris later said that he knew it. I was overcome with emotion. I was freaked out, I was humbled, and I was still mad. After Fidel left, a few of us stood on the porch of the church, and with tears in his eyes, Ezequiel told me, “Cole, he was describing you the whole time he spoke.” Ezequiel was emotional because God had just moved in our group. It was an amazing and crazy moment that I will never forget. Needless to say, I did not sleep very well that night. My mind was racing. On the drive home and a few days after I told several people about what Fidel had said and even more affirmation of what I already knew rolled in. I wised up, decided to follow God (again), and I told the leaders of our church that I wanted to be included in the pastor search. I am now the lead pastor at The Well Church and it has been a great two years at our church. We are growing, we are more alive, and we are more involved. God is good, and He knows what He is doing. 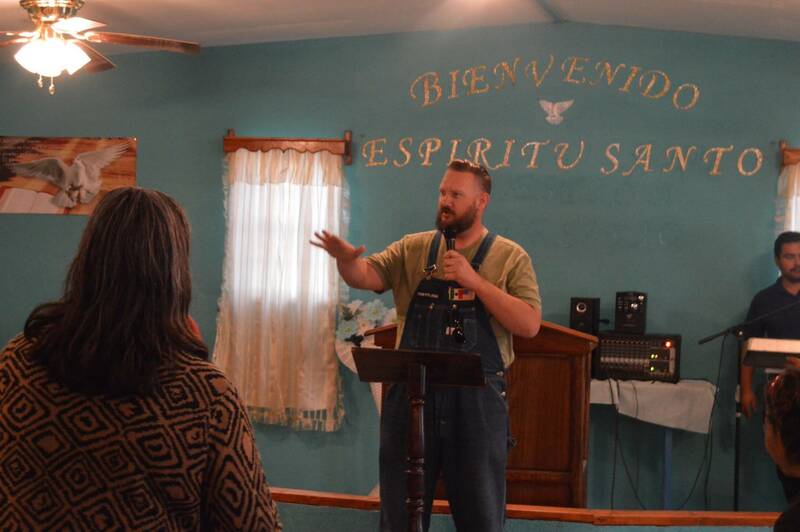 We have to listen to Him, even if it takes a pastor from México speaking to us through a translator. Listen, because God might just show up.